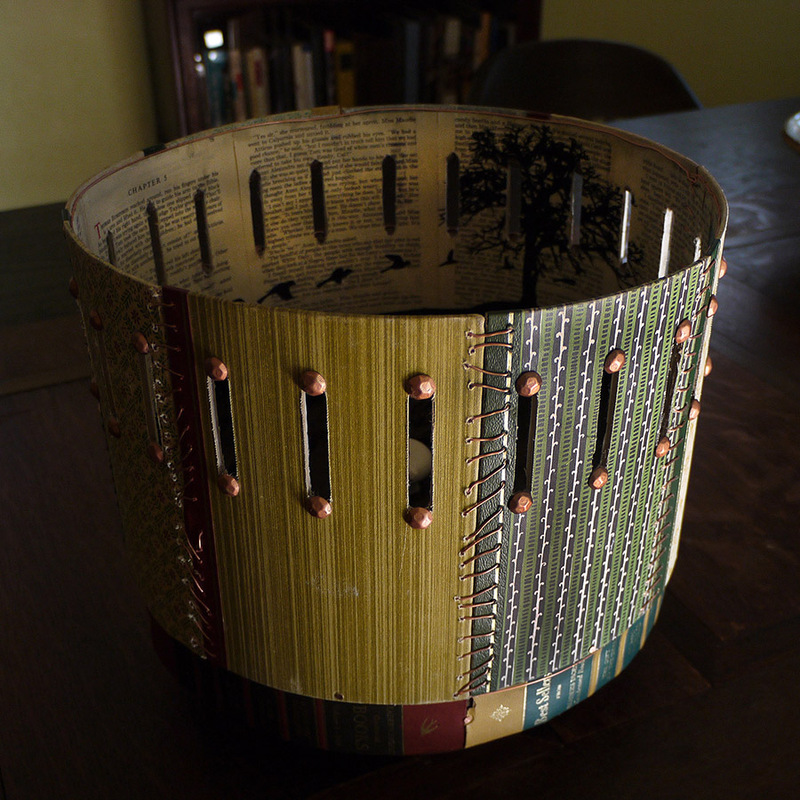 This is a zoetrope made from a set of Reader’s Digest Condensed books. 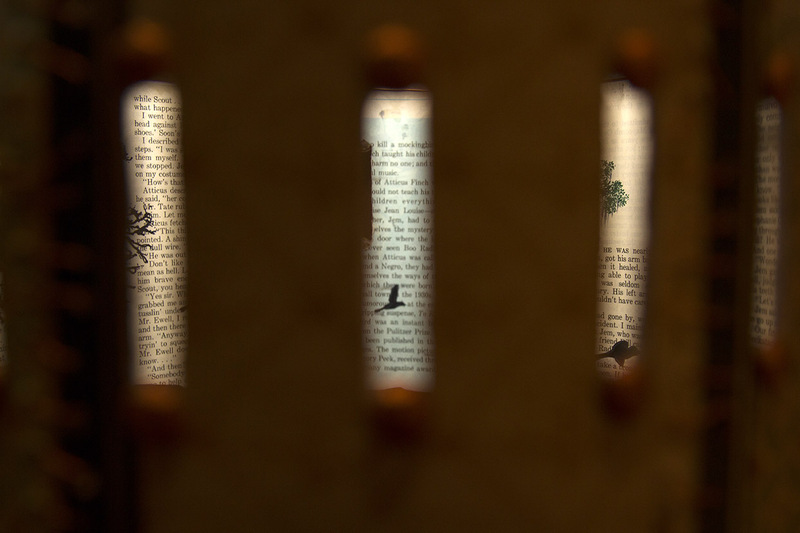 It uses pages from To Kill a Mockingbird and will be auctioned off on Friday, September 27 at the AIGA Discovered event during the 2013 Design Week in St. Louis. 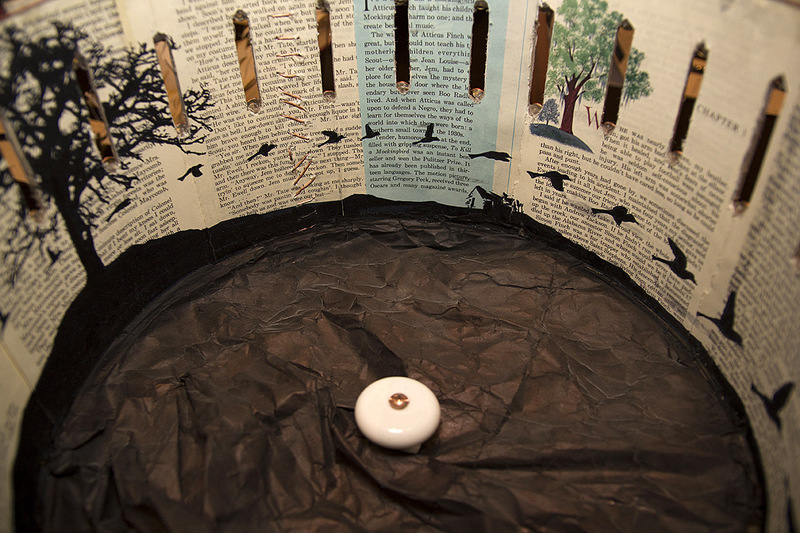 Yes, the mockingbird condenses as the zoetrope spins. More images will be posted after the exhibit, but in the meantime here’s a short Instagram video by Zoë Scharf. 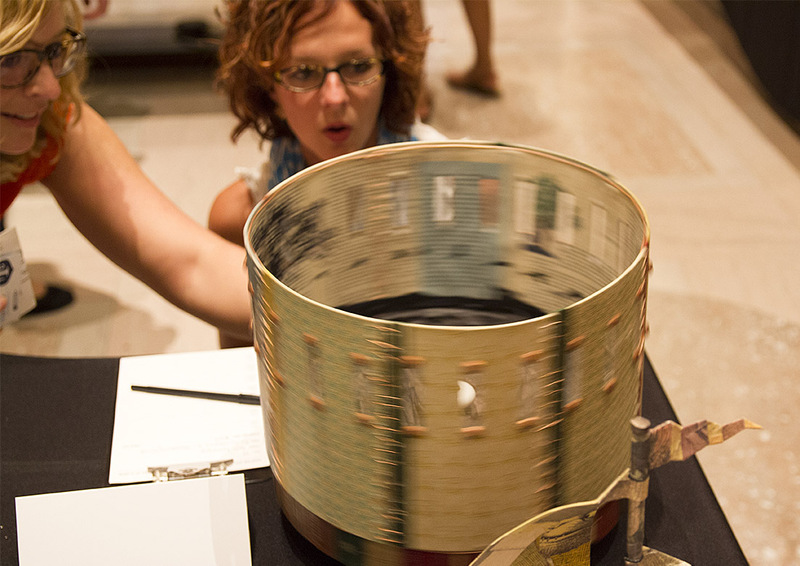 Literary art auction to benefit the St. Louis Public Library Foundation. AIGA St. Louis’ Design-for-a-Cause event partners with the newly renovated Central Library to present Discovered. Forty artists and designers were selected to exhibit their donated artwork for a silent auction. 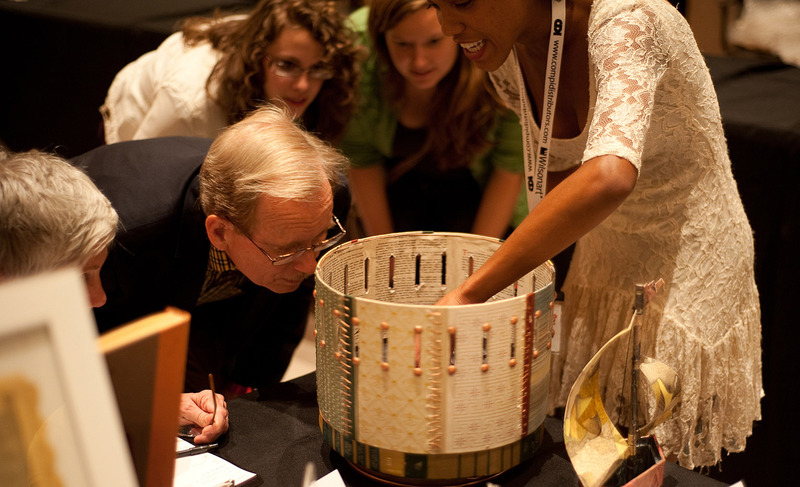 The auction will be reinterpretations and repurposing of used books and print materials to benefit the St. Louis Public Library Foundation. Music, letterpress printing, food trucks and a Kids Area will be included in the festivities. Materials: Books, bamboo, copper, metal, paper, plastic (specifically: Reader’s Digest Condensed books, a Lazy Susan, a cake pan, a bamboo steamer, wire, tacks). Update: Photos from the event by Dan Mirth and Matt Jackson.